Ha egy indiánfonatos karkötőt keresel valódi bőrben, jelentjük, megtaláltad! A klasszikus fekete, fényes bőrt kétszer kell a csuklódon körbetekerni, hogy aztán a rozsdamentes acélból készült zárral rögzítsed. A zár nyitása egyszerű nyomógombos. A karkötőt egy gyönyörű fekete ékszertasakban szállítjuk. Ajándékozáshoz is nagyszerű. It's cool on your hands. Aesthetic workmanship, daytime quality of the material. 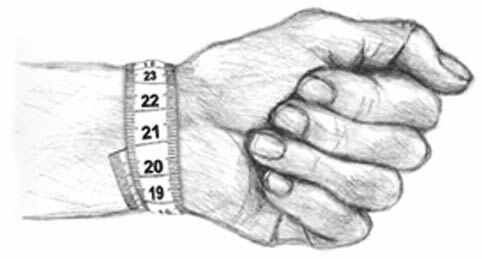 41 cm fits on a hand with a circumference of 18cm. Nice soft leather. A little big in size. But can be made smaller by merging it into each other, which actually makes the bracelet even fatter! Very good quality, price-performance very good. Nice bracelet ... however, the size I chose, but no problem getting it changed to the right size. Easy and go 'service. Clean processed, stable closure. The band looks good. I do not find any complaints about this product. The rating is lowered due to substandard quality. The band is not braided without the shed and has a hard inner core which makes it stiff and lacks the feel of leather. Always my pleasure! Super bracelet, great team! It was very nice but it did not suit me when I got it. Otherwise, there was fast delivery and free shipping. Good was the information from you. Status order etc. Easy to pay. Maybe even clearer website. It's ok but the design is not sooo appealed. Absolutely beautiful piece of jewelry, super good consistent picture of how the bracelet looks really! Clock Fair !! The only ones I responded to when I opened the black discreet bag as the bracelet was that they looked very small, which they definitely were not !!! Recommends my friends to shop from you, great service, quick feedback on delivery, when they are sent etc, etc. Top !!! Will be sure to shop more often from here !! !